Many people have known and heard of one of New York’s biggest celebrity musicians, from his famed collaborations with Disney Films, as well as his unique style as one of the predominant folky riff and rhythm writers which made him one of the piano powerhouse musicians from the 1960’s to present day. In this article, we’re going to give you a little bit of history on the famous musician and give you some of the top Billy Joel Songs & Albums that makes this American Elton John a unique fun-loving soul to always be remembered. Yes, he’s still alive, and yes, to this day the 70-year-old musician is still making music and performing to this day. Billy was actually born with the name William Martin Joel. His father was also a classical pianist and a German businessman. The family fame here after World War II and they were emigrated due to the fact that they were Jewish Germans. His parents divorced and later on his father returned to Europe because he didn’t like the State. 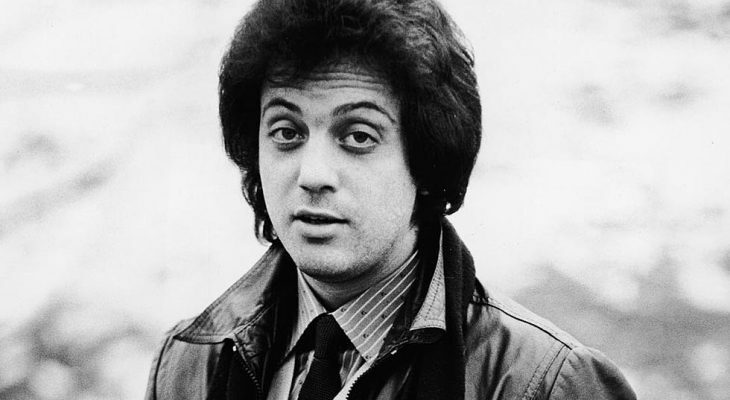 Billy Joel began getting piano lessons when he was younger after his father left, and he was even well-known to have taken up boxing because he needed to learn self-defense against the neighborhood kids in the Bronx. He actually won 22 fights under the Golden Gloves circuit, but he quit when he had his nose broken during a match a short while later. Joel lived in Hicksville, but despite going to high school in 1967, he started to make shows at a local bar to help his mother with the bills, and he ended up not being able to graduate. He ended up dropping out because the school failed him and wanted him to go to summer school to get his diploma. He actually was quoted saying that he’d rather go to Columbia Records since he couldn’t get into Columbia University. Ironically, he did eventually sign to the famous label, and he ended up submitting essays later on in life in 1992 to the Hicksville High School he went to as a teenager, which gave him his high school diploma as a reward at a real graduation ceremony. During all of these years, he has become one of the most prominent artists in the music scene, and even though he had his first hit single which is listed in this article’s top songs, he also has numerous affiliations and credits to companies such as Disney’s “Oliver & Company” soundtrack. Here are some interesting facts that many people don’t know about Billy Joel, despite being one of America’s classiest piano players. In this “I bet you didn’t know” segment, we’ll go over some things that are unique only to the Piano Man. He tried to commit suicide when he was younger over a breakup with a then girlfriend… by drinking furniture polish. He said he ended up having nothing but diarrhea and a bad stomach ache because of it. The artist has admitted to trying heroin but that went nowhere. He attended Woodstock, but left because of the quality of the toilets there. He wrote the song “Laura” about his mom. He was actually into heavy metal for a short time when he was younger. Joel does not believe in God, but he believes in spirits walking the earth. Despite being Jewish, Joel went to Catholic Mass with his friends frequently growing up. He was also known to frequent the confession booths as a kid. Joel is quoted thinking he looks like a pizza delivery guy, and believes he looks like just another ordinary person. Billy Joel has actually sold more albums than the King of Pop, Michael Jackson. Now that we’ve heard a little bit of interesting information about Billy Joel, let’s look at some of his most selling albums and songs of all time. Billy Joel has been very well known not only for numerous albums over the past 40 years, but even more importantly, his songs and lyrics are what are important. His song lyrics always had meaning, and he used them to portray a message that he was trying to get across to not only his followers, but his biggest fans and friends. Music was literally an outlet for Mr. Joel, and this was extremely important to him that he got the word’s just right. After all, he did flunk his senior year for English, even though he always accredited himself as a great writer, and loved literature. Here are the top 10 Billy Joel songs to date, with the top 5 ranked by none other than Billy Joel himself. The Longest Time – This song was one of the most influential doo-wop melodies that many people recognize. This song is constantly still getting airplay on classic rock stations worldwide, and it from the album An Innocent Man. This song actually reached number 14 on the Billboard Hot 100 and number one on the adult contemporary chart. It even reached 25 in the UK on their singles chart. The song has multiple vocal tracks, in which Billy Joel performed all of them. Just the Way You Are – One of the biggest hits of the 1970’s ballad written by Joel, this song marked the launching the most of his career by being his first top 10 hit, and it was written for his beloved then wife. While this song is so popular by the world, it’s actually one of Billy Joel’s least favorite songs, and for good reason; he and his then wife actually ended up getting a divorce years later. Only the Good Die Young – Billy Joel is the most controversial of all of Joel’s songs, as it talks about how a Catholic girl he wanted to date didn’t date him. He wrote the song, and the Catholic church started their bans. After that though, that brought upon the fact that any attention for a song is good attention. He started gaining more and more fame for the song, even though the song wasn’t about Catholics at all, it was more about being a song which promoted lust, but in the song itself, he doesn’t actually end up getting the girl. This song was released on the album “The Stranger” in 1978 and made it in the top 25 on the charts. To this day, it’s the most dominantly played song on most classic rock stations out of all of Joel’s songs, and has even been compared to a few songs written by the likes of Elton John as far as styles go. Piano Man – The title song from the album with the same name released in 1973, “Piano Man” was the first single that was released in the US, and is actually an interpretation of his early life playing bars when he was younger to pay the bills and when he was married to his first wife early on. He actually bases many characters from the song itself from his real-life persona’s that he met while he was doing this. This is still one of the most played songs that is on the radio to this day, and the audience often helps him sing the chorus when he does it. It is the defining song to this day that Billy Joel released for himself. Vienna – Vienna was written and released with the album The Stranger and was even featured on the B-side vinyl single for “Just the Way You Are”. It was actually a song about his father who went back to his hometown of Vienna. The song is based on a moment where he observed an old lady that was working hard, and defines that life’s too short to keep pushing forward so hard. Joel himself has stated that the whole point of the song is to tell people to slow down and don’t try to rush things, as you have your whole life ahead of you, which is something he believes to this day. And So It Goes – This song was written about a relationship that Joel was having at the time. He knew that the relationship would not go anywhere, and that numerous things stood in their way. He however talks that it was his least appreciated song, but one that most people didn’t know was one of his favorites. He ranked this as number four of his most favorite songs that he had written, because it was based on a real life event. This song was released on the album titled “Storm Front” in 1989. You May Be Right – This is a song written and released for the album “Glass Houses”, which is actually a parody of a traditional saying. In the song, it depicts Joel as a person who doesn’t have a care in the world. At the same time though, the song portrays a carefree attitude, as it states the lyrics from someone who thinks that life is too short; just live carefree and quit living in fear. She’s Right On Time – From the 1982 Album “The Nylon Curtain” is a song about a girl who is late for a special Christmas date with a gentleman who is has his own flaws and therefore, the girl was right on time because she was perfect and on the same page as him because of all of the trouble he had while waiting for the girl. He states that this song was not only the closest thing to a Christmas song for him, but he also states that this song is his number two pick when it comes to his most favorite songs of all time, even though most people don’t really know the song that well. Scenes from the Italian Restaurant – Written and recorded on the album “The Stranger”, this song is to this day Billy Joel’s personal favorite, and it is pretty popular according to his faithful followers as well. It was never released as a single, but this Abby Road inspired piece is a classic tale of three different songs put into one. It is the longest of Billy Joel’s songs, lasting over 7 minutes, and is actually based on real-life events and people during his experiences. River of Dreams – This album featuring the song with the same title peaked at the number 1 pop charts in 1993, and was one of the last albums Billy Joel has written with original content. It was the twelfth studio album written by Joel, and the songs in it pertain to dealing with many of life’s issues he’s encountered over the years, legal disputes that he’s endured, and even the happiness that he received from having his daughter (in which the track “Lullabye (Goodnight My Angel)” was inspired by). The album itself was nominated for numerous Grammy Awards, even though Joel did not receive any in 1994 for it. Greatest Hits Vol. 3 – This song has numerous songs on it that were popular, as well as many that didn’t make it to our top 10 list. It was released in 1997, and contained songs which weren’t on the first two volumes release earlier on. It was released in three different versions, as well as on a double LP and double cassette tape (something children today wouldn’t even know about, as many haven’t even seen a cassette tape or vinyl record). 12 Gardens Live – The fourth live album released by Joel in 2006 was during a run of his performances at Madison Square Garden. Most of Joel’s biggest hits are on the album performed live, and were from his chain of sold-out shows in New York. Some of the songs were even performed in a different key because he was conserving his vocal chords during the tour. This special album was also the first time he ended up releasing a live recording of the song “Piano Man”. The Essential Billy Joel – This was one of the leading sales albums that was released in 2001. The three disc set features almost all of the songs on our top 10 list, and even features some of his best live recordings of other songs. It even includes tracks from the number one album on the top albums list, which had the most sales of Joel’s career, featuring the song “Lullabye” and “The River of Dreams”. It made it into the top US Billboard 200 list at 29 in the year 2001 and was one of his five leading sales albums of all time. The Hits – This was yet another compilation album of Joel’s entire lifetime of hit music. This was literally covering his entire life from 1971 to his last album released in 1993, but there was a special twist to it; all of the songs released on the album are in chronological order, which is something that many stars don’t do (most of them have their songs shuffled, or placed in the album by the most popular down). It only features a handful of the songs that are on our top 10 list, and while it was the 5th top album in record sales, it was one of his lowest selling albums out of all of them according to Billboard’s record sales list. 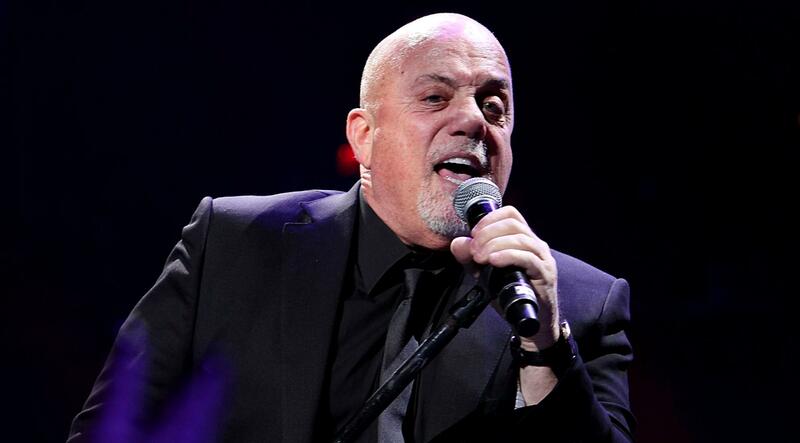 Billy Joel has had a successful music career, and he’s even been continuously performing music in the New York area. To this day, he has not released any original albums other than a couple songs here and there. He performs on a regular basis, but he’s pointed out that “He’s lived a full successful career” according to numerous interviews that he has had since 1993. He goes back to Hickman High School on a regular basis, and was last known to have gone there to deliver the commencement address. While Joel has been a big success over the years, he states that he enjoys spending time with his family and enjoys not having to be gone all of the time. However, he still does go on the road from time to time. Since his departure from high school years ago, Joel has received numerous doctorate degrees, including his latest in 2015, a doctorate of music from Stony Brook University. He has been indicted into the hall of fame, and has remained on the East Coast for the majority of his latter life. While Billy Joel has been a successful musician, many people have not only not heard about him, but many have heard of his music, there really isn’t a lot of well-known facts that the general public knows other than his die-hard fans. Aside from this, many of today’s youth don’t know of his music or know of just how successful he has been over the years. As of May, 2019 the artist will be 70 years old, and while he’s stated he has retired from writing original material for regular album releases, he has been seen on numerous televisions shows, including the famous Sesame Street over the course of his career. He has been announced on his own website to play his 69th consecutive show at the Madison Square Garden in New York City in October of 2019. 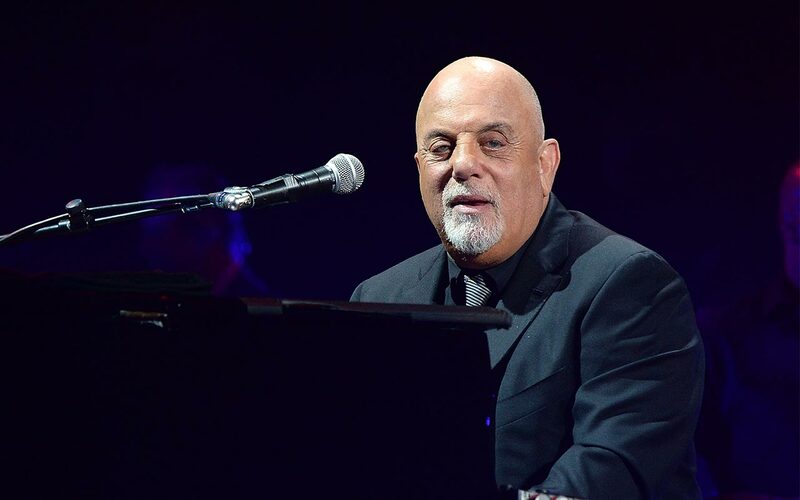 Billy Joel’s success has led him to be one of the highest paid rock artists in the world at $180 million dollars from the combined record sales and live shows. He was listed as one of the world’s highest paid rock stars, even trumping over bands like U2, and numerous artists of today who only have a net worth of about a fourth of that. In a recent article of the richest musicians in the world, he is ranked as the 43rd musician out of the top 50 in the world for having the highest net worth of any artist in the world, just under Usher, Adele, and Eminem. In a recent interview for New York times, Joel has been noted as being a happily successful musician who is comfortable with where he is at now. His life is full of family and fun, and friendships, ranging from yet another star Bruce Springsteen, to many more. He has even gotten to know Elton John, and has always been a person to get along with numerous other artists who have been influenced by him. He commonly jokes about getting older, and even states that when it comes to longevity, not dying is about as good as you can get to being immortal.